Fetching on a hill is quite the same as fetching but on an inclined surface. 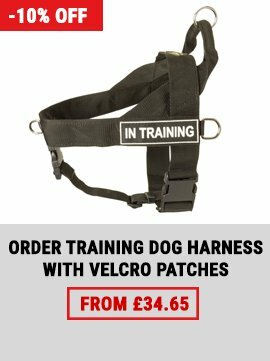 You shouldn't train your dog like this before it is one year old, because running downwards is harmful for young joints and sinews. Start training on little low-angle hills and gradually increasing the length and steepness of the hill. For fit and strong dogs, the angle may be increased up to 50-60 degrees. Walking on stairs. It is strictly forbidden for puppies and young dogs to walk on stairs downwards for a long time and not desirable for the rest of the dogs. 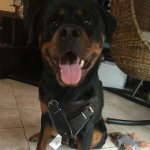 As to walking upwards, it is very useful for the dog's development, not only for its muscles but also for its vestibular system. As any other load, you should increase walking on the stairs gradually. 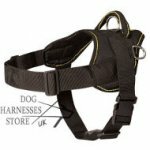 See a harness for dog support, making walking on stairs easier. Swimming. 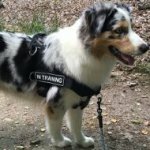 This kind of training is recommended for all dogs of any age. It has no contraindictions but for the dog's water fear. This is the only exercise that can be done during rehabilitation period, especially after joints injuries or fractures. Swimming is very good in summer when the air temperature is high and the rest of the exercises can be harmful because of overheat. 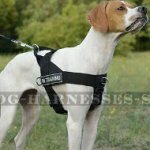 Find a swimming harness in our online dog store. Obstacle crossing. 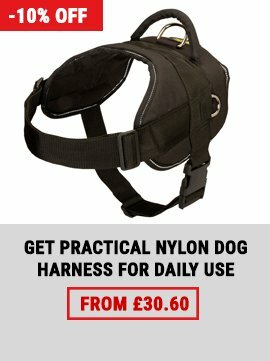 Use low obstacles for dog training. While crossing obstacles, the dog uses other muscles than when running, so this exercise is considered to be an addition to running. High obstacles are used rarely. 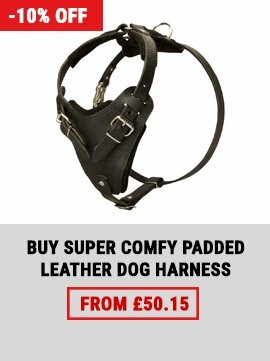 Large dogs shouldn't do this exercise for a long time. It may as well be forbidden for certain dog breeds. Pulling. 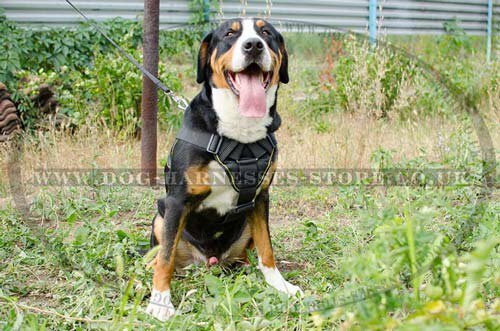 This kind of exercise of forbidden for dogs under one year, it is 1.5 years for some breeds, because the dog's skeleton is not fully shaped. By this exercise you can train not only the paws muscles, but also the back, chest and neck muscles. 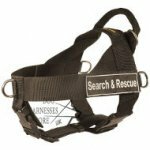 Use special harnesses for pulling, make sure its D-rings are placed at the tailset to avoid lateral overload of the spine. Your dog can pull: tires, carts, sledges, a skier. 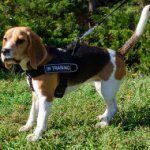 Increase the pulling speed according to your dog's physical condition. 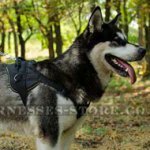 You can find a variety of dog pulling harnesses like special weight-pulling harness, multi-purpose nylon dog harness, reflective dog harness, K9 dog harness, leather dog harness for sport etc. in our online store. Agitation training. A kind of dog training to attack or bite something or someone. 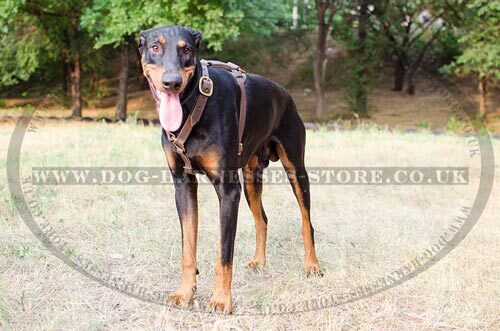 The dog is usually restrained by dog trainer or handler to make the attack. Protection training. 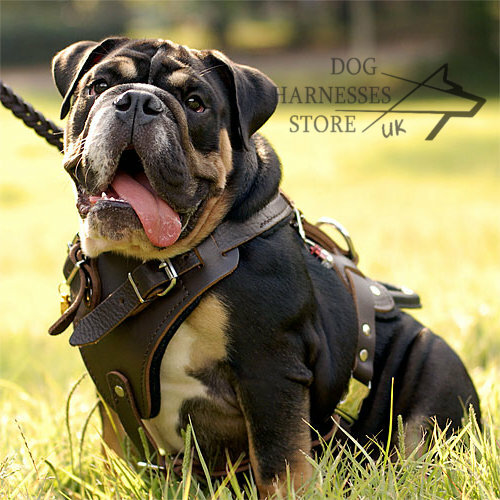 Teaching a dog obedience, scent work, agility or even a handler protection. 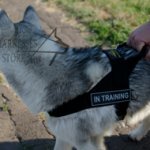 All these kinds of dog bite training demand specific dog equipment like bite sleeves. 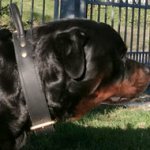 They help to build and develop full mouth dog grip and to teach a pet the mechanics of biting and fighting. The dog is taught that when it sees his owner or a helper with a such a training sleeve he should bite and hold it with its teeth. 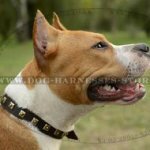 Thus, the dog learns to bark for his bite, develops a firm grip and improves its instincts. 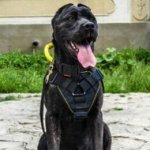 Choose a suitable bite sleeve for dog training.